Here’s whats so brilliant about this formula — as you travel around the world as Bowser, you encounter problems during your journey which require the help of your interior plumbers. In the demo we played, Bowser needed an extra burst of strength to pull an entire island inhabited by a single French blockhead (yes, it still retains the series’ quirky brand of comedy). 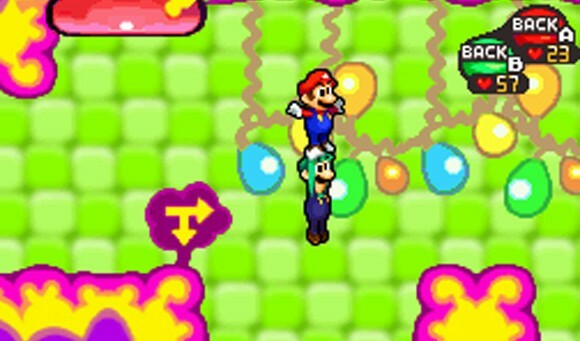 Mario and Luigi made a quick trip to one of his arms, fighting off viral Blorbs in search of his biceps, which they pumped up by returning volley after volley of electric orbs using their trusty hammers. After adequately pumping him up, Bowser had the strength to move the landmass.